Eighteen-year-old Harper has grown up under the thumb of her career marine father. Ready to live life her own way and to experience things she's only ever heard of from the jarheads in her father's unit, she's on her way to college at San Diego State University. Thanks to her new roommate, Harper is introduced to a world of parties, gorgeous guys, family, and emotions. She finds herself being torn in two as she quickly falls in love with both her new boyfriend, Brandon, and her roommate's brother, Chase. Despite their dangerous looks and histories, both men adore Harper and would do anything for her, including taking a step back if it would mean she'd be happy. Harper has lived under her father's Marine thumb for her entire life without a mother to provide the gentle hand. Home-schooled, with no friends to speak of (aside from the men in Sir's unit), she cannot wait to break free and get as far away from home as possible for college. Bree, her roommate and soon to be best friend, is exactly what she needs to break her free from her perfectly molded, quiet, shy life. Enter the world of make-up, parties, booze, and boys. Chase, the man you hate to love, but fall for anyway, and Brandon, the good-looking sweetheart with bad boy tendencies will have you swooning one way, then the other as you get caught up in Harper's roller coaster love triangle from the start. Taking Chances made me feel like I was in college again, getting swept up in emotions and boys, falling in love, and being free. It was full of romance, but not insta-love (thankfully, because I find that annoying), but it was believable in the realm of college students. As a warning, I will say that this book gets "steamy" a few times, but nothing extremely graphic. That said, it is so much more than a straight romance. Your heart will be pulled so many directions, and then completely torn apart. It'll be put back together, but not quite the same. Healed, but not unscathed; moved forward, but not forgetting the past. You go on Harper's journey with her step by step. I laughed, I got mad, I cried, then I cried some more. I was as addicted to this book as Harper was to the men in her life. The shock in the book - no, not that one, read a little further; yes, that one - left me heartbroken, but I don't want to give away too much because you need to read it for yourself! This was my first time reading anything by Molly McAdams, but I will be on the lookout for more! 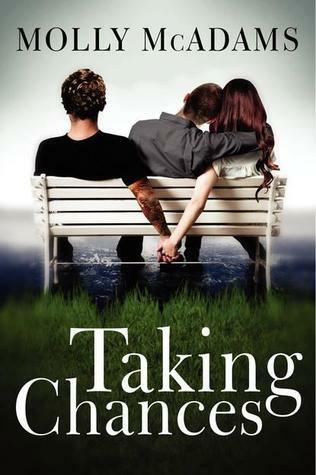 And, if you'd like to read this story from Chase's POV, check out Stealing Harper. Oh...this sounds like such a Kleenex-worthy book. I guess I better get on it so I can check this out.